Jakarta, August 2018 – Archipelago International is once again proving itself to be one of the leading hotel management companies in the region, by bringing a new hostel brand to Indonesia’s burgeoning accommodation market. 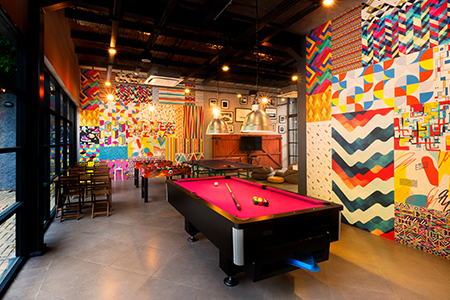 Hostels remain a relatively new concept in Indonesia - especially in Jakarta - and as such, the inaugurating NOMAD Hostel Kemang has been designed to accommodate the growing number of budget-oriented backpackers looking for sociable accommodation to share with other like-minded travelers. With today’s budget traveler looking for more affordable, stylish and comfortable places to stay, NOMAD Hostel Kemang is the perfect addition to the city’s ever-growing accommodation market. Guests can retreat to the hostel after a full day of exploring the sights, with a convenient address close to Kemang’s bars, restaurants, entertainment centers and international schools, as well as South and Central Jakarta’s business districts. “Kemang is all about the best things Jakarta has to offer: the best brunches, date night destinations, after-work drink spots, shopping malls, and even the best late-night dancing haunts. Kemang is therefore the ideal location for us to launch our brand new chain of NOMAD Hostels. Here at Archipelago International, we are very excited to see NOMAD Hostels grow, and this burgeoning destination couldn’t be better suited for the launch of this exciting new brand,” said John Flood, President and CEO of Archipelago International. 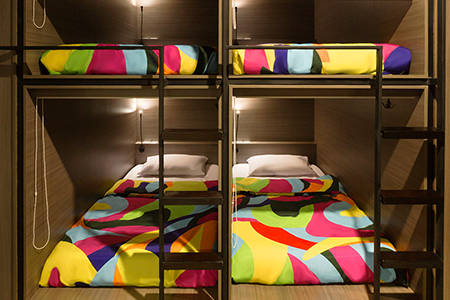 NOMAD Hostel Kemang features 192 pods split into four room types: 10 Pods, 14 Pods, 16 Pods, and 20 Pods. Each room is then comfortably separated between male and female travelers, with the second floor belonging solely to female guests. Other facilities include spacious bathrooms, common areas, a swimming pool, and coin laundry services - all available for sharing. A charming coffee shop with both an indoor and outdoor area is also available, with complimentary high-speed Wi-Fi throughout the hostel. To enjoy 10% off on the room rates, use the promo code BOOKDIRECT on kemang.nomadhostels.com or download the Archipelago Membership App for even more savings at NOMAD Hostel Kemang and 130 other properties across South East Asia. Follow @nomadkemang on social media and share your precious moments by using the hashtag #NOMADkemang.